The first few months were just about getting by, finding our feet, and adapting to everything J threw at us, so I can’t say I was much use on the socialising front either! So here’s my question to you, how do we find other like minded parents and form a positive social circle for J and us? Thanks for reading my first ever blog post, I promise normality will resume with wifey tomorrow! 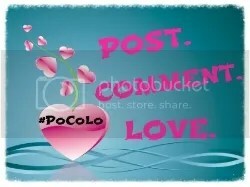 The hubsters post is linking up with Victoria for the #PoCoLo linky again this week, I’ll be back to posting soon but we would love your views and thoughts! It is hard to start having ‘parent’ friendships, but once you get the ball rolling it should be a snap! I’d start with the library for story time. Playgrounds, kid activity groups…I don’t know where you are located but in the US we have Gymboree classes, or at our local YMCA there are swim classes etc.